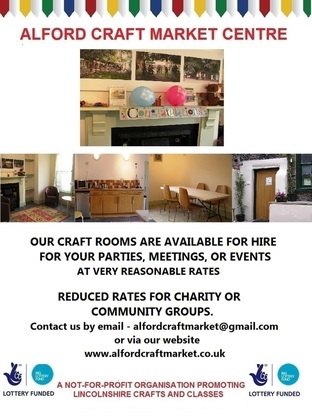 Our craft rooms are available to hire for parties, events and meetings at very reasonable rates with reduced rates for charity or community groups. Contact us here for more information. 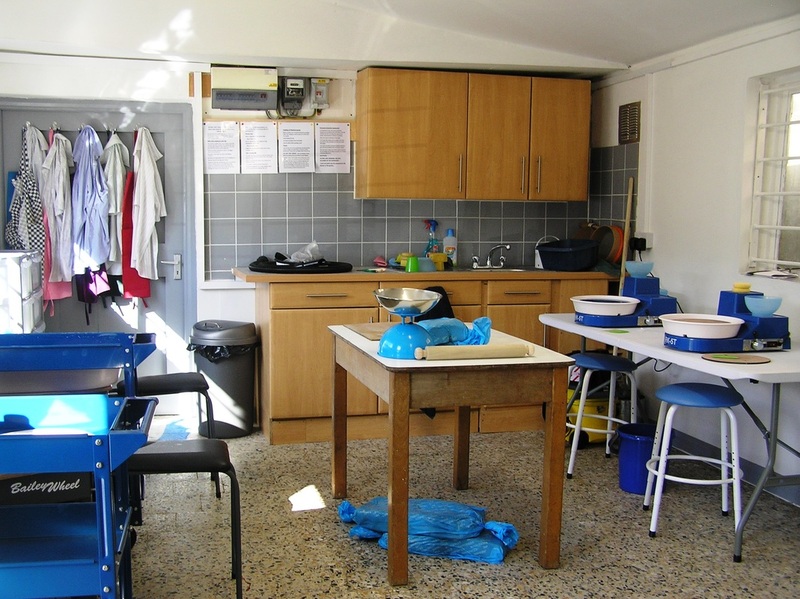 In Our craft rooms at the Alford Craft Market Centre began as three rooms at the rear of our shop that were derelict. 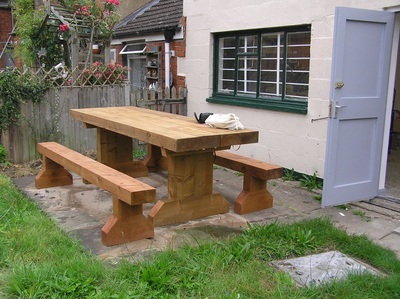 We applied for a grant from the Big Lottery Fund and were successful - receiving a grant to provide a unique and much needed opportunity for our local craftsmen to pass on their skills to a younger generation, particularly as Alford is so well known for its historic connection with crafts. 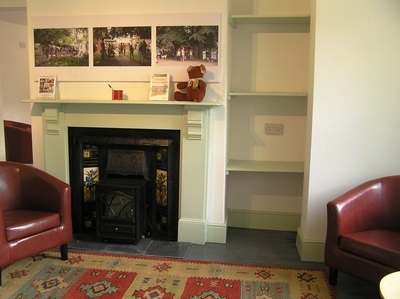 The three rooms became two rooms and a courtyard - great spaces with lots of natural light. The Bakehouse is our third classroom which opened 29th October, 2016 where we have adult and children's classes in lampwork and glass fusing, pottery, mosaics & stained glass. Our rooms, The Parlour and The Kitchen, were both completely modernised and refurbished in September 2015. The Parlour is a room with good light and space for workshops or use as a sitting room for meetings for small groups. The Kitchen has a modern kitchen with microwave, double sink and drainer, coffee percolator, kettle, fridge, cups, saucers and plates and ingredients for tea and coffee making. 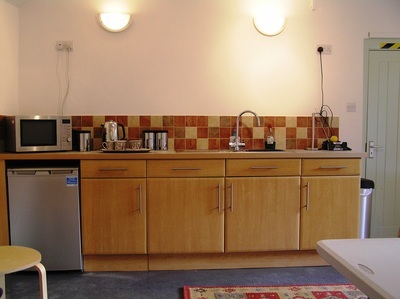 It also has good light and a large extractor fan. 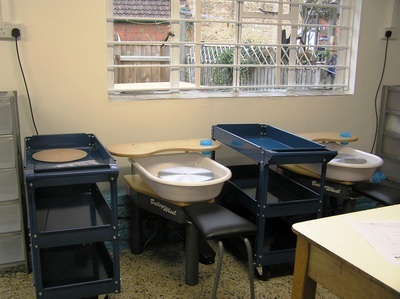 Space for worktables or sitting area or both! 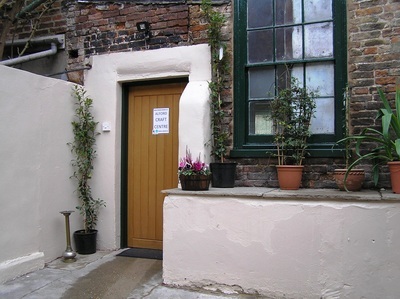 There is a disabled toilet and a courtyard entrance where we have seating and plants to decorate it for outside events and relaxation between creativity! 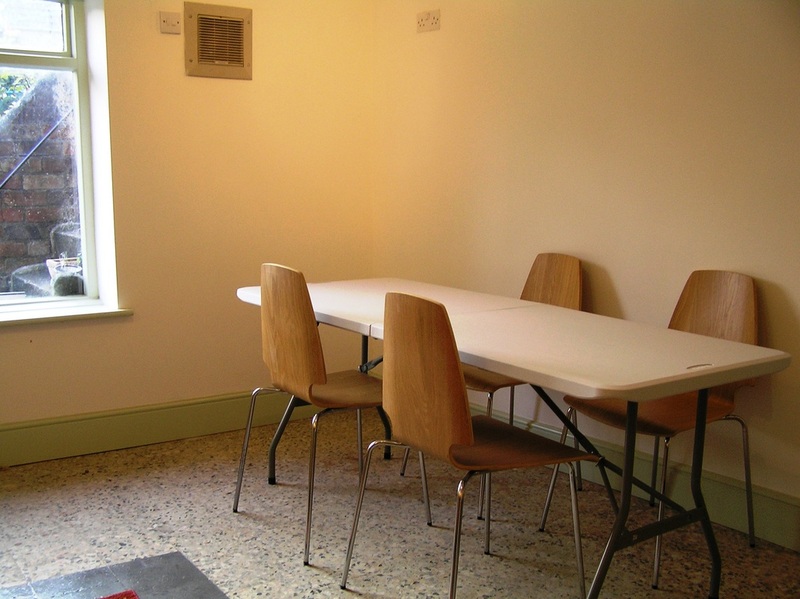 Also available for craft parties for small groups - daytime or evenings - contact us for ideas! 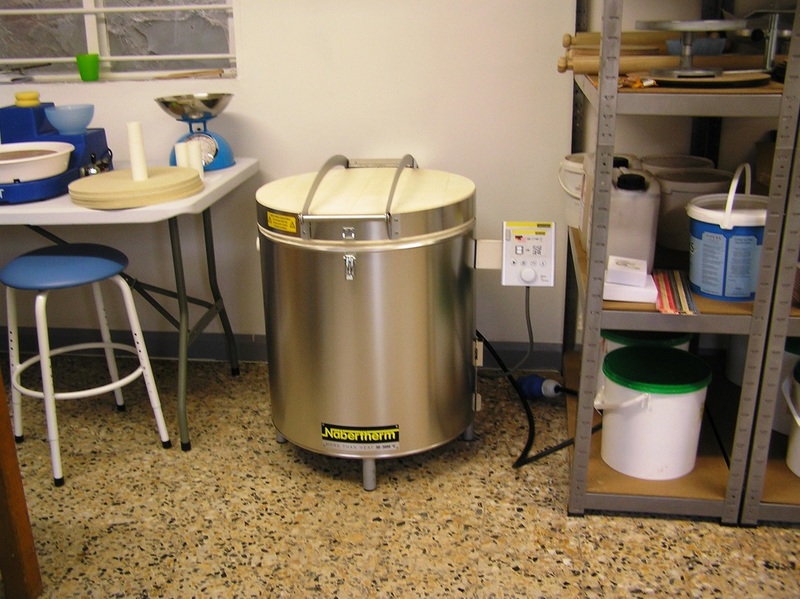 In the Summer of 2016 we also completely refurbished THE BAKEHOUSE, which was a carpet warehouse next door, and made it into a pottery and glass studio with 2 pottery wheels, 2 table wheels, a pottery kiln, a glass blowing kiln, a fused glass kiln, annealing kiln and 5 stations for lampworking. Outside is a garden with seating. 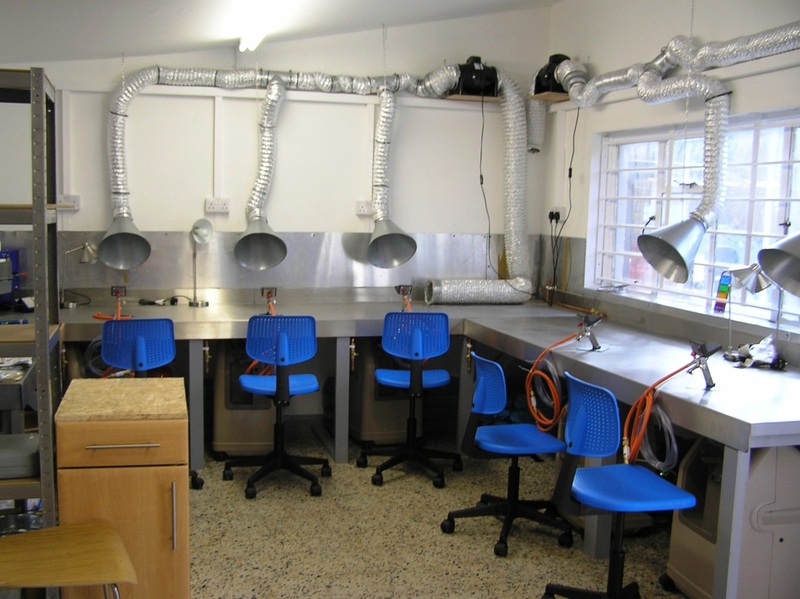 Our pottery and glass studio is used for classes but is also available for hire - please contact us at alfordcraftmarket@gmail.com with enquiries.